The Old Aqueduct is cultural-historical monument and an archaeological site located 2 km north-west from the centre of Skopje, dating originally probably from the middle of the 6th century. The remains of the ancient city of Heraclea Linkestis, established as a significant strategic centre by King Philip II of Macedon in the 4th century B.C. is only 2 km south of Bitola. After Rome conquered Macedonia in 148 B.C. Heraclea Linkestist was very important because of its location on the VIA IGNATIA, one of the most significant Roman roads which connected ancient Rome with Constantinople stretching from Albania across Greece and ending in Turkey. In the Early Christian period (4th century A.D.), Heraclea Linkestis was a bishop's seat and in 518 A.D it was destroyed by a disastrous earthquake. 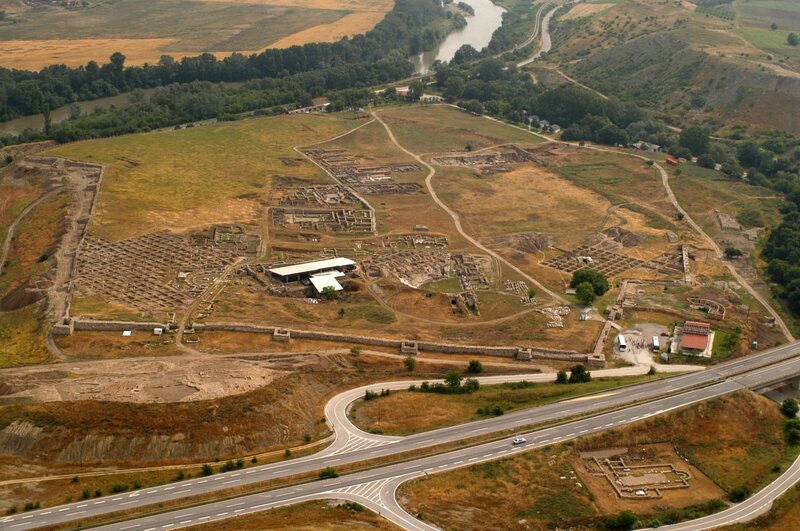 The big archaeological site is located on a hill above Gevgelija, next to the E-75 highway. The earliest traces unearthed with the archaeological excavations, date from the Iron Age (13th century B.C.) but life flourished until 2nd century B.C., from the early ancient to the Hellenistic period. Most of the rich cultural layers with artefacts and architecture belong to the ancient Macedonian settlements prior to and after the reign of Alexander the Great. The archaeological materials and findings are displayed at the City Museum in Gevgelija. Vardarski Rid is also a great spot for picnicking and camping. The ancient city of Antigonia, predecessor of Negotino, was situated 12 Roman miles south from the antique town of Stobi, on the road to Thesaloniki, at today's place of the archaeological site Gradiste, by the railway station of Negotino. It was built by the Macedonian ruler Antigon Gonat. Later at this place, coins, precious jewellery and other archaeological findings from the period of Roman and Byzantium reign were discovered. 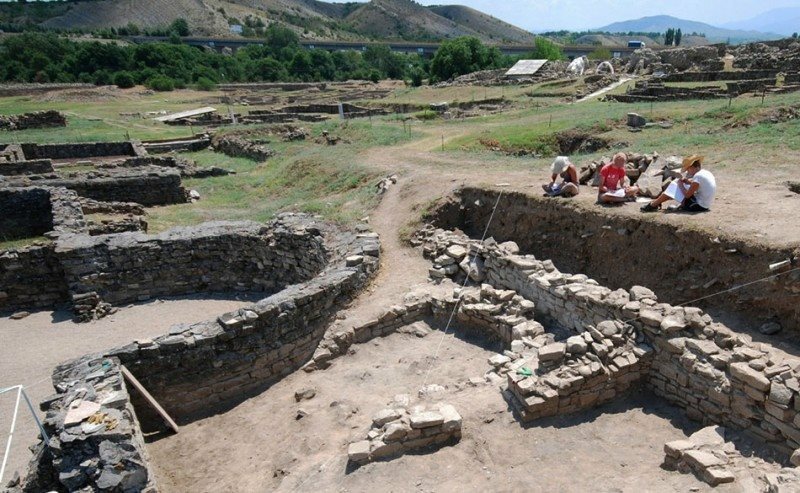 The ancient town existed until the 6th century when it was destroyed by a disastrous earthquake which hit almost all the roman cities on the territory of Macedonia. The archaeological site from antiquity (3rd century B.C. - 3rd century A.D.) located in the village of Chepigovo, by the Crna River. The Greek historian and geographer Strabo wrote that in the time of its peak the city had more than 20.000 inhabitants, mostly army veterans who used to receive big properties and land for their merits after the military service. 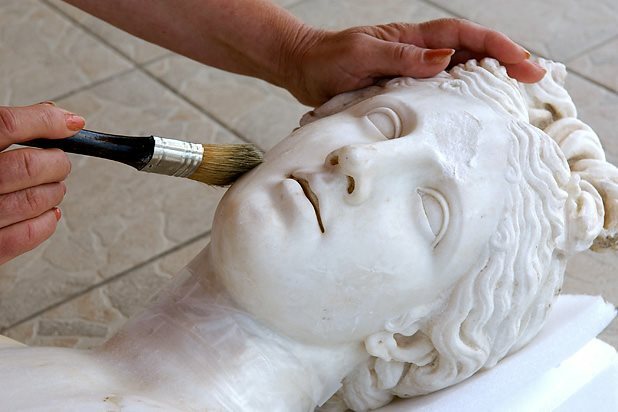 Almost 30 marble sculptures have been excavated, as well as a lot of architectural objects such as a gymnasium, houses and a temple. This ancient fortified city of the Paionians mentioned by Polybius, is located on the archaeological site of Gradiste, near the village of Knezje. Due to its perfect geo-strategic position it was a major “shield” for the Paeonic and the Macedonian state to the north and an important administrative centre for five centuries. The unearthed evidence bears witness to a rich history among those valuable walls from the 7th to 2nd centuries B.C., or until 167 when the town was destroyed and afterwards the area fell under the Romans. The excavations of the imposing town that is supposed to have covered 20 ha have shown the walls of an acropolis, defence towers, the gate, the town square, a temple and valuable movable material. The Via Egnatia was a road constructed by the Romans in the 2nd century BC. It crossed the Roman provinces of Illyricum, Macedonia, and Thrace, running through territory that is now part of modern Albania, the Republic of Macedonia, Greece, and European Turkey. Starting at Dyrrachium (now Durrës) at the Adriatic Sea, the road followed a difficult route along the river Genusus (Shkumbin), over the mountains and thence to the highlands around Lake Ohrid and ancient Lychidos (today Ohrid). Then it turned south at Heralclea Lyncestis (present Bitola) in Republic of Macedonia, following several high mountain passes to reach the northern coastline of the Aegean Sea at Thessalonica. From there it ran through Thrace to the city of Byzantium (later Constantinople, now Istanbul). It covered a total distance of about 1,120 km (696 miles / 746 Roman miles). Like other major Roman roads, it was about six metres (19.6 ft) wide, paved with large polygonal stone slabs or covered with a hard layer of sand. Such route was of strategic importance both in ancient times and today, when the flow of the sources of energy and the information, which are crucial to the development of many continental areas, are more evident. 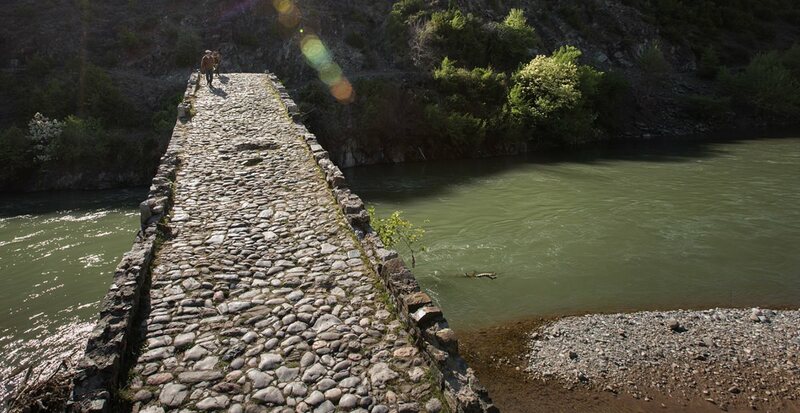 Originally a military road, it served economic and social functions for more than two millennia. After the decline of the Roman Empire the Byzantines used and protected the road. After them came the Ottomans, who send their tax collectors and trade-caravans along its trail. Used by soldiers and later by crusaders, preachers and bandits, merchants and peasants on their way to the local market, tax collectors, caravans with up to two hundred mules and donkeys, loaded with skins, wines, wood and sulphur, the road served local as well as inter-local purposes. Many different ethnic groups made use of the Via Egnatia, and met each other along its trails, in its caravanserais: Greeks and Jews, Vlachs and Pomaks, Turks, Venetians, Egyptians and Roma. 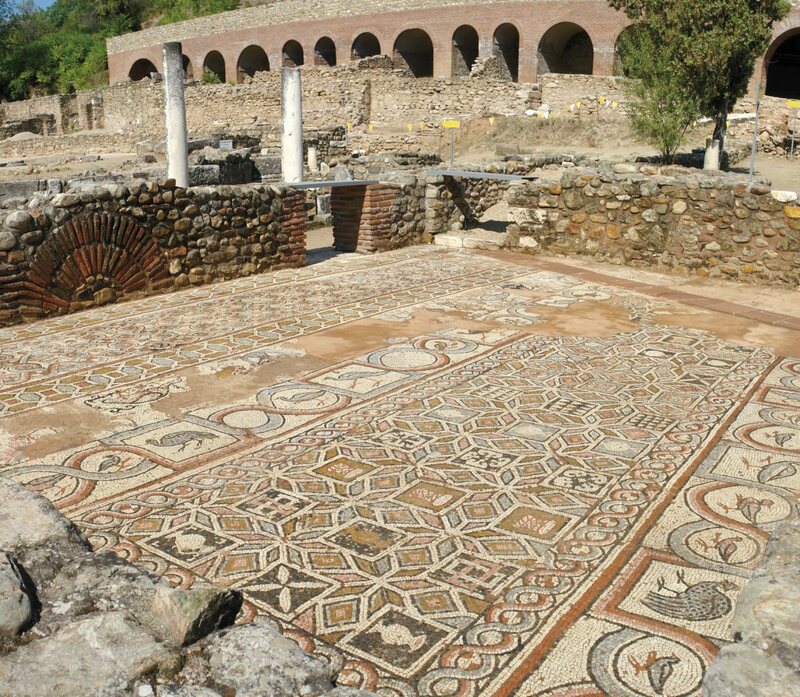 Today, the road Via Egnatia enriched with a lot of cultural heritage from all the period along its trace, as well as the natural environment, is one of the most desirable tourist destinations of our common heritage. 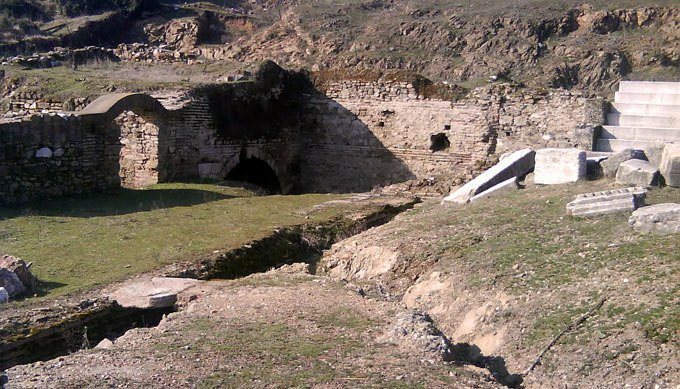 Many remains along Via Egnatia are still visible in the Republic of Macedonia. The city of Lychnidos (Ohrid) and Heraclea Lyncestis (Bitola), as well as the National Park Pelister and the Baba Mountain are real palimpsest when it refers to written and unwritten history, since this region is not passed only through its beauty and mystique, but also through time capturing the moments that have long been hiding from curious eyes of the explorers, scientists and adventurers. Here passed the Via Egnatia, the bond between the Western and the Eastern Roman Empire, one of the 28th Roman highways. One of the ways to discover and experience Macedonia is to visit this road where you can travel, plan visit the archaeological locations, citadels and churches going along the route of this road. Bargala (village Goren Kozjak) is an archaeological site located 20 km northeast of Shtip, on the lower slopes of the Plachkovica Mountain. Bargala was a fortified town constructed between the 4th and 6th century A.D., a period spanning between Late Antiquity and Early Byzantium. 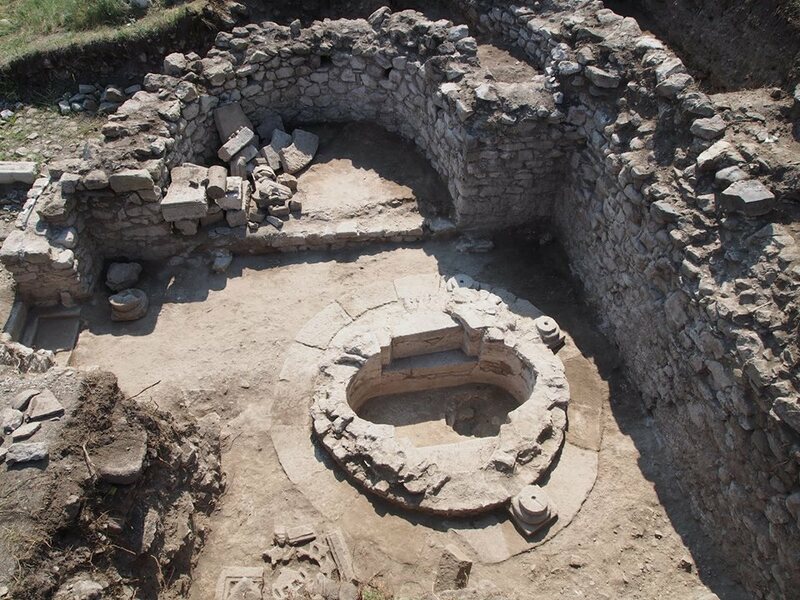 Archaeological excavations have uncovered a basilica, trade quarters, a water tank, a bath, and a fortification system with an impressive main gate and infrastructure. Near the city walls of Bargala, to the west, an old Christian building dating from the end of the 4th century was discovered in 1984. It is an extra muros three-nave basilica, with a protruding apse, a narthex and an exonarthex, and a floor covered with stone plaques, which were luxuriously ornamented.